The festive season is fast approaching but don't worry you still have time to make and save money in time for the festive season. Ok this is not something everyone will be able to do but hear me out. If you are able to why not take on an Christmas temp job to bring in a bit of extra money towards Christmas. Many shops/ warehouses need the extra staff to keep up with the demand. Have a clear out and sell the stuff you or family members you live with don't use anymore. I've managed to sell many items of clothing, toys and furniture before and other bits on ebay and facebook selling pages. There are also places such as CEX where you can sell items such as DVDs, games, mobiles and other electronics and some places online you can sell books. If you are a blogger than one way to make some extra money is by Sponsored posts which is something I do and its something definitely worth looking more into. - Apps such as receipt hog and shoppix where you scan your receipts to get points which in return = cash or amazon vouchers. You can browse online bingo games and find a wide range of ones that are fun to play. Saving money is also a great way to make sure you don't get into debt when it comes to Christmas. I've never used a credit card to buy for Christmas and its something I'm proud to say as I don't want to be paying off Christmas and struggling come January. I usually set a budget of what I can afford to spend on each person and what we can afford on food, drink and days out such as a visit to see Santa. When shopping online I tend to try and get cashback via quidco. My current bank also offers cashback on certain stores as well which is handy. some people don't like this idea however I don't have any issues I've brought gifts for both Blake and Stuart that have been second hand and they still got used and I saved money doing so. You may think Amazon works out cheaper but that's not always the case. Shopping around is a great way to save a few extra £'s. This is something I must admit we haven't done before. However its a lovely idea to be able to give a gift to someone that ha a personal touch and can save you money. I love poundland Christmas decor at the moment and as most things are £1 it means I'm not spending loads of money to bring a bit more festive cheer to my home. This is the best time of year to do this as the prices tend to go up so its worth finding a better deal. Do you have any other ideas on ways you can make and save money in time for Christmas? These are such fab ideas on how to make and save money for Christmas. I love the cashback when online shopping. These are some great tips! :) I know not everyone can get a temp job like you said, but it really is worth the extra work. That way you're not struggling come January. Something I try to do (but most of the time I end up failing at) is buying a gift for someone every month year round, that way you're already good to go by November! some great ideas here. 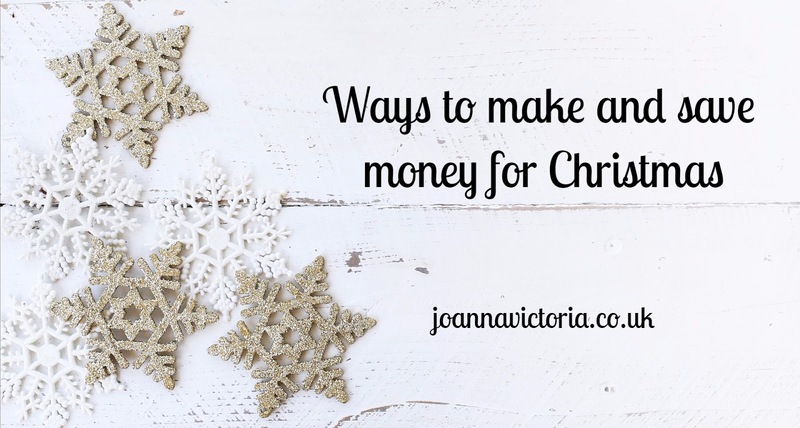 I always look for ways to save money on the run up to Christmas so I have more to spend! I have been ramping up the sponsored posts in a bid to make more money to fund Christmas and it's been working well for me so far. Shopping around and setting a budget is key to saving over the period. Great list, i really need to have a good clear out before christmas as i dont have a clue where the heck we will put the new stuff!! I think it's always a good idea to start getting ready for Christmas early so there's not too much expense all at once. I know lots of these tips are really worthwhile but like lots of people, I'm a bit too lazy to switch utility suppliers. I know I should though! Some great ideas of ways to have enough money for a special Christmas. We are definitely on a mission to declutter a little before the big day arrives. This is a great topic. We all spend too much money in this period of the year. I agree with your tip on setting up a budget. There are so many beautiful things that can be bought at a reasonable price. We just need to take some time and plan what to buy. Great post! Some great ideas here, I love the thought of homemade gifts but we just never get the time to actually make them, it's a shame really. We are going through a big clear out and getting rid of old toys which are still in one piece and actually worth selling. Such a great blog post. Great ideas, I have been selling all sorts on ebay to try and save money ready for Christmas. It's an expensive time of year! I have been having a massive clear out and selling old toys and clothes on Facebook but andvsell groups. Erin has far too many toys and it's great that I can help other families save some money too! Saving money actually sounds like a great idea -- I should start saving.. I am spending too much! Great tips for anyone that is trying to save money during the holidays. I have been selling on ebay all the things that I don't use anymore and I have noticed that console games are really a best seller, making a lot of money. Getting an extra job is also a great idea, I know the local post office in my town always needs staff to sort out the parcels around this time of the year. Great list. I try to spread the cost out over the year and get a big bulk of presents in July. I also keep an eye out for sales during the year and buy things as and when I can. Love the ideas here. Christmas is so expensive isn't? Need to shop around for my utilities. These are great ideas and ones that would really help you to make the most of your budget.I also make edible gifts for my family and friends it works out a lot cheaper and most people appreciate a homemade chutney , jam or a box of cookies. We're going to a carboot to sell and raise some money for Christmas, plus its a good way to clear some room! I tried Matched Betting and you can make some money doing it but it takes a lot of work and dedication. You're better off saving steadily throughout the year I think. These are great ideas, I've tried a lot as I'm always looking for ways to bring in a bit of extra money. I really enjoy selling on eBay. I’ve been trying to save money for a couple months now because I always spend so much around Christmas! This post is very inspiring! Thanks for sharing these great ideas! The holidays always get so expensive, I try to be a little frugal around this time of year because otherwise I would be spending wayyyy too much money. These are great tips to follow. I think second hand gifts are great - more environmentally friendly, as well! These are some great ideas! I made a bit of money through matched betting a while ago, and I definitely need to go through my stuff to sell. Surveys are something I have been doing for sometime and I am getting decent amount out it if not much. But sponsored posts are terrible for me. Never get an opportunity where I can actually make any money. Great tips though. This is such a great read! Great tips, when in budget or trying to earn/save, thanks for sharing! I have so much STUFF.. some of it unused that I need to sell ASAP to make some extra cash! This just may be the motivation that I need! Amazing ideas to save and earn! 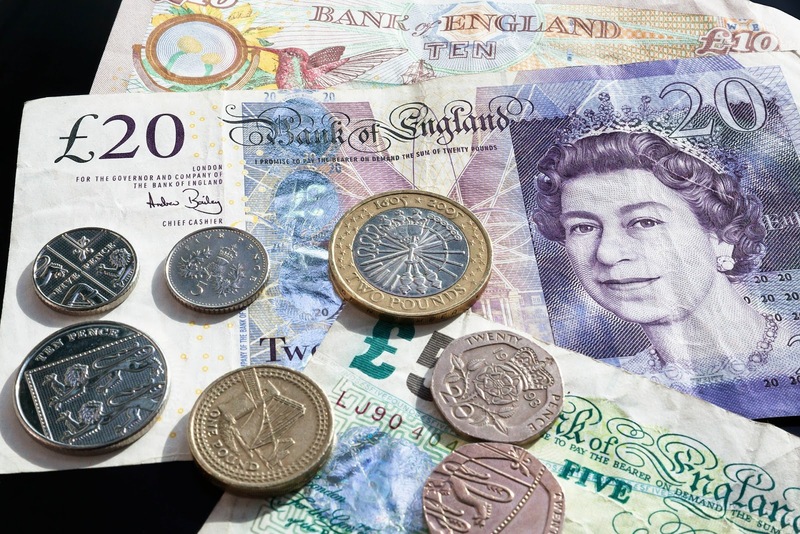 Great tips on saving money and making money, they are always appreciated at this time of the year. You just reminded me that I need to declutter and sell what we don't need! Great tips! I always use cashback sites whenever I am shopping online, they are amazing! These are some great tips to save for the most expensive time of the year well for me it is since I have a pretty huge family. There's some great advice on your post. I'm struggling this year. The Christmas lists seem never ending. We could all do with the extra help at Christmas. We've done all the main shopping but there's always more to do. I didn't realise there was so many options to make some extra money. I will be taking these on board! I used to make homemade clothes for my children, and now do the same for my granddaughter. For Christmas she wants some dressing-up clothes, so I am making her a Rapunzel dress using offcuts from another project, so it will effectively cost me nothing apart from some money spent on nice ribblon to do the lace-up front of the bodice.